Got a hot tip? We'd like to know! 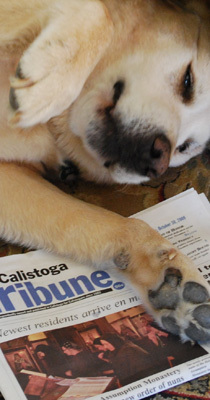 Please email us at editor(at)calistogatribune.com (please use the "@" symbol in the preceding email address - we have to write it out with the word "at" so that those darn internet robots don't hound us!) or call us at 707.942.5181. To send us an image to go along with your tip, attach it in a resolution of 300dpi to an email to editor(at)calistogatribune.com.